The Rolling Stones have been rolling for a long time their first gig was in 1962. Grandchildren of that first audience could have a drink with the band on tour this fall, fifty-four years later. They probably wouldn’t even get carded. Half a century of influence on the music scene has certainly earned them public merit, and they’re receiving it this year in the form of their first-ever major exhibition. A collaboration between the band members and Australian-based company iEC Exhibition!, the exhibit claims to be the largest touring band exhibit ever staged. 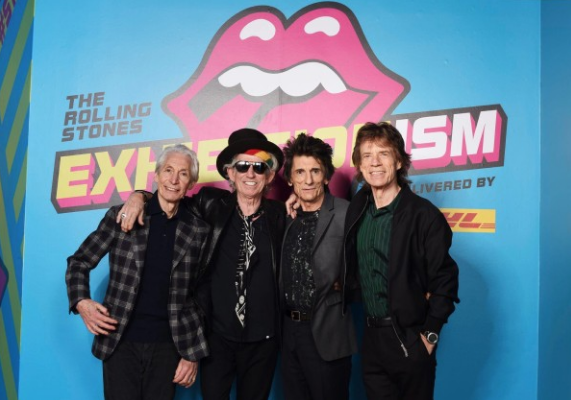 “Exhibitionism” launched this April in London and in November, it will open in Manhattan. The exhibit has a strong focus on the band itself, featuring hundreds of pieces of ephemera from the band’s long career. The collection goes all the way back to the beginning, with Keith Richard’s diary from the early days and an actual cassette playing the first draft, so to speak, of “(I Can’t Get No) Satisfaction,” barely more than its raw chords. A studio set piece showcases the band’s original instruments, including Brian Jones’ sitar and Bill Wyman’s homemade bass guitar. Artists may be interested in the exhibit showing the evolution of the band’s fashion and image over the years, also featuring the art and artists used to design the group’s logos and album art. The surviving band members, who range today from 69 to 75 years old, are still icons of rock and roll. While they made an appearance at a private showing of the London exhibition, they unfortunately won’t meet the show in New York City. Too busy on tour in California and Nevada. “Exhibitionism” will be showing at the Industra Superstudio in the West Village. Tickets go on sale in September at stonesexhibitionism.com.